It is the age of information. Information is everything ...except when it comes to life itself. The "ghost," is the living essence, the only thing that can distinguish the real thing from the creations of the Net ...or so it seems. For Section 9, the value of the ghost becomes all too clear when they must investigate a number of "ghost hacks" made by an unknown programmer known as The Puppet Master. Who IS the Puppet Master? Why is he ghost hacking? Is he an agent for some government? A terrorist? The answers will both surprise you and make you wonder just what wonders techonology is capable of doing ...even if some of them were never intended to happen. 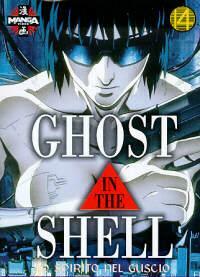 Ghost in the Shell is a science fiction story that reaches out toward the outer limits of technology and at the same time explores the value and meaning of life, exploring individuality, purpose, and the possibility of a new kind of life.